Bill Eubanks and Jacobi Carbons have ambitious plans to become the number-one activated carbon company in the world and to do so within the next five years. They’re already well on the way. Eubanks, now Chief Development Officer, is a chemical engineer who has worked in the industry since 1990 and for Jacobi since 2005, initially as Chief Operations Officer and more recently as President-Americas. The Jacobi Group was founded in Sweden 100 years ago by Ferdinand Adolph Wilhelm Jacobi as a chemical trading company. Its first foray into activated carbon was in the 1960s as a distribution partner for Bayer. In the late 1980s, Jacobi made the first major investment in the activated carbon industry in China by any Western company. 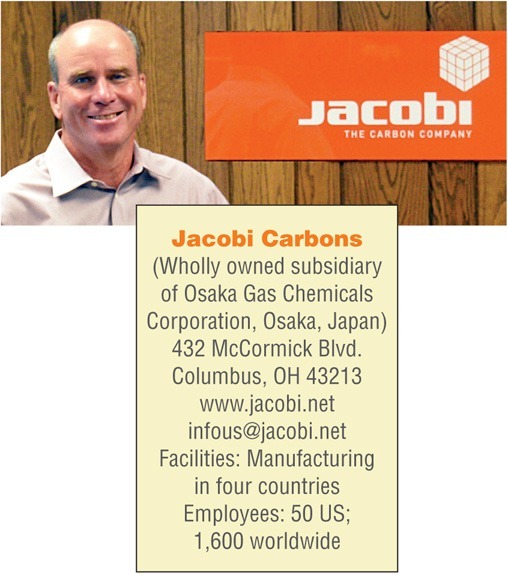 In 1999, a management buyout of Jacobi Carbon was completed; soon after, the company opened an office in the US. Jacobi opened its first coconut-shell-based activated carbon plant in Sri Lanka in 2006 and quickly grew to be the world’s largest manufacturer of coconut-shell-based carbons with five plants in four countries. 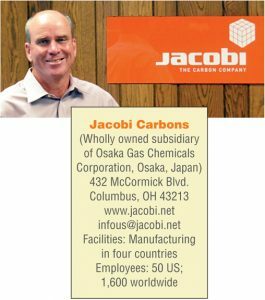 In 2011, Jacobi acquired PICA SASU, a leading activated carbon supplier based in France and moved the US headquarters to Columbus, OH, where Pica USA was located. In 2014, Jacobi Carbons was acquired (as a wholly owned subsidiary) by Osaka Gas Chemical Corporation (OGC) of Osaka, Japan. “OGC was already an active player in the Japanese market but wanted to increase their global presence. OGC management felt that Jacobi was a perfect match. The acquisition has been successful and unique, in that OGC left Jacobi’s management in place and allowed us to continue to run the subsidiary. The first step to produce coconut-shell activated carbon consists of carbonizing shells that are byproducts of the coconut industry. The exact coconut-shell carbonization process varies from country to country. For example, many Sri Lankan char suppliers use large open pits, most Philippines suppliers use 55-gallon drums and Vietnam suppliers, beehive kilns. The charcoal produced in this process forms the raw material source for the coconut-shell activation process. Jacobi has an extensive process for qualifying and managing their supply of charcoal to ensure a consistent activated carbon product. Jacobi’s top markets are water filtration, gold recovery and cigarette filters. 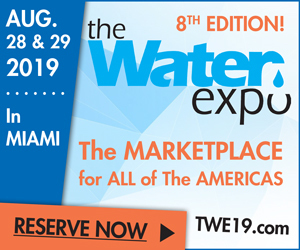 Their extensive product lines include AquaSorb for water treatment, EcoSorb for air treatment, AddSorb impregnated grades for specialty applications, ColorSorb for color removal applications, GoldSorb for precious-metals recovery and PetroSorb for petrochemical applications. “In addition,” Eubanks said, “Our Resinex division offers a full line of ion-exchange resins. In Europe, we have a division that provides a line of modular filtration units, carbon-exchange services and reactivation services. We don’t offer these services as yet in the US but are evaluating our options to do so. 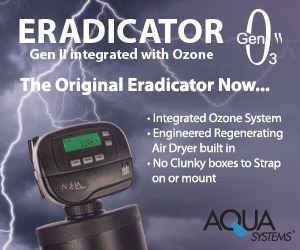 “OGC leadership has stated that they plan to be in the number-one position in every business they are invested in—so our goal is to be the number-one activated carbon company as well. We will do this by remaining committed to one simple mission: to be the best-valued carbon manufacturer in the business, with technical support and customer service that are second to none. We are looking at acquisitions, expanding our manufacturing footprint, broadening product lines and investing in our service business. We will expand our market presence in Central and South America. My personal focus is on growth in the Americas and working on projects that have an impact on growth worldwide. 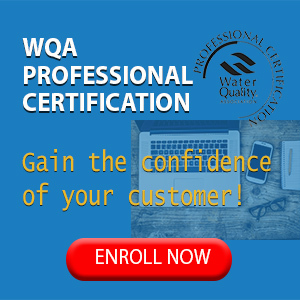 “We will certainly develop new products for water treatment. A big driver in the US is disinfection byproducts. There are more opportunities for us to grow our business in municipal-level drinking water. 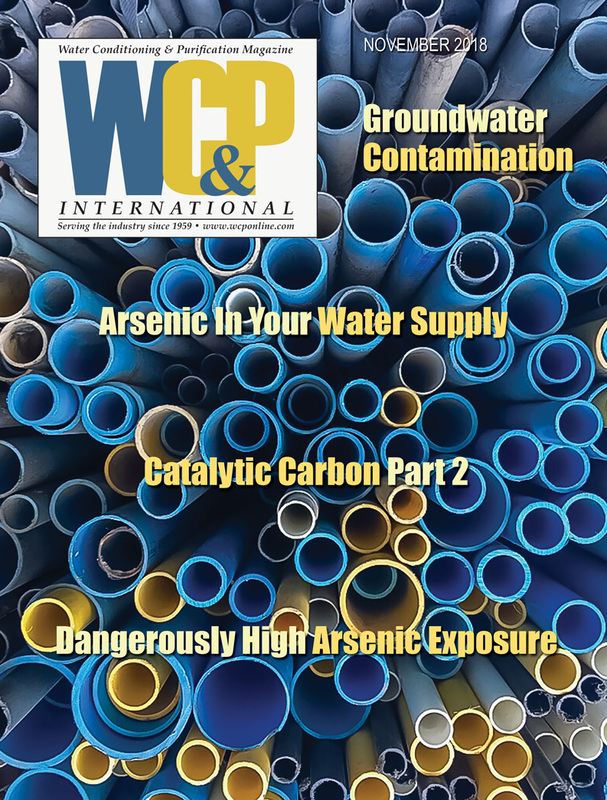 We also are seeing a lot more contaminants, from cyanotoxins and harmful algal blooms, pharmaceuticals and endocrine-disrupting compounds, in drinking water. We are focused on different and better products to attack those contaminants at the municipal level and at the home water filtration level. Activated carbon remains a reliable, cost-effective technology for all of these challenges, so the prospects for our industry remain bright.